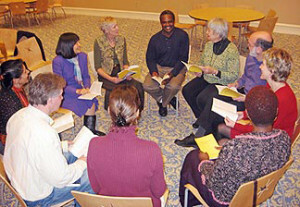 Share your spiritual experiences, your insights, and learn spiritual exercises in an Eckankar book discussion class. In each class a chapter, or part of a chapter, from an Eckankar book is discussed. Depending on the book a book discussion meets either 3 or 6 times. Other discussions are free form about Spiritual Experiences. Everyone is welcome. If there is a book you would like to discuss, please contact us and we will get one started.